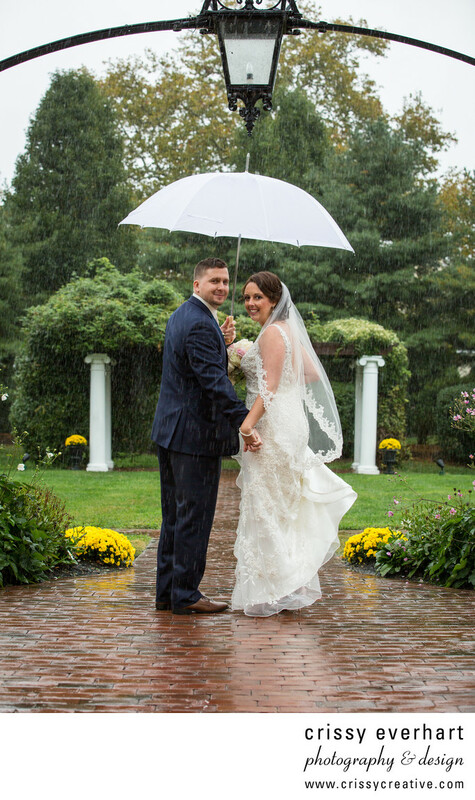 Bride and groom venture out in the rain at Bell Voir Manor in October. The groom holds a white umbrella and the bride holds up her train and her flowers. The other hands are interlocked as they walk away then pause to look back for a photograph.